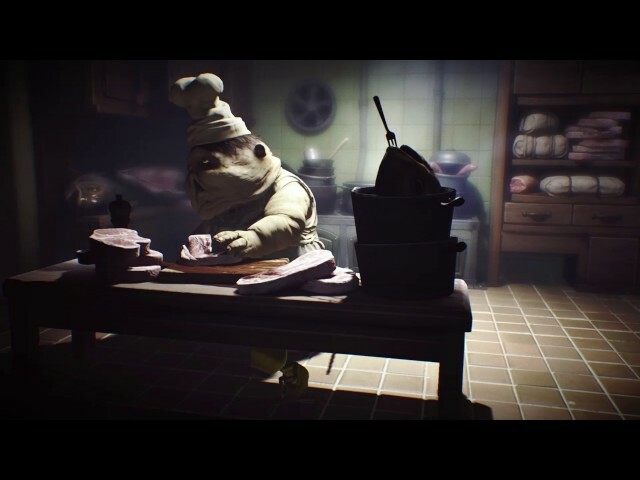 Little Nightmares (game, 2017). 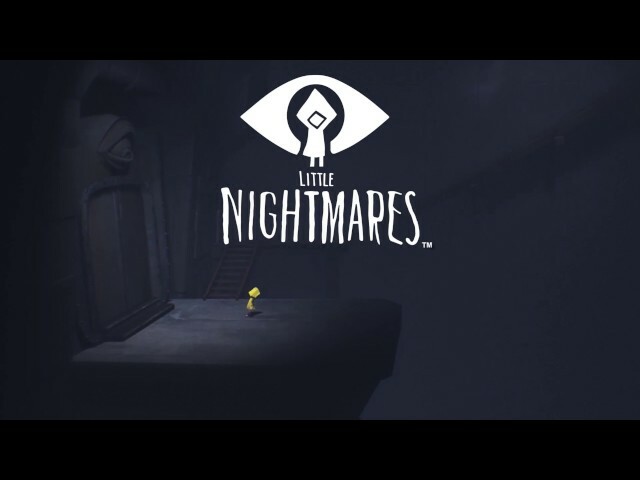 A puzzle-platformer horror adventure video game by BANDAI NAMCO Entertainment Inc./Bandai Namco Games/Namco Bandai Games America. Developed by Tarsier Studios, BANDAI NAMCO Entertainment. Official Trailer. 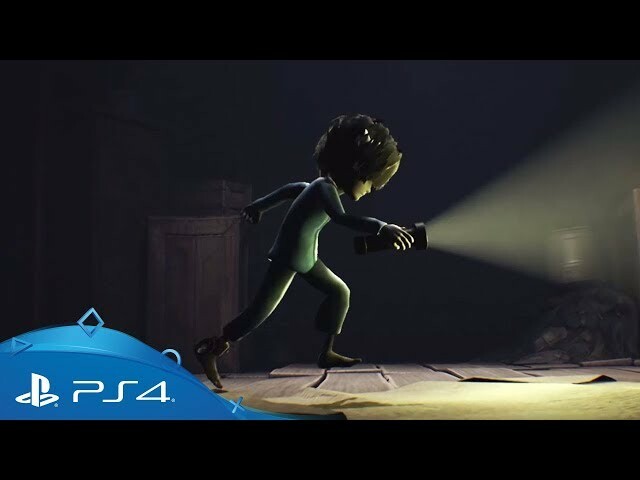 Little Nightmares is a puzzle-platformer horror adventure video game by BANDAI NAMCO Entertainment Inc., Namco Bandai Games America and Bandai Namco Games, developed by BANDAI NAMCO Entertainment and Tarsier Studios. 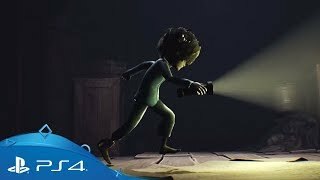 Little Nightmares | The Hideaway DLC Release Trailer | PS4. A hungry little girl (whose name is Six) is trapped in the Maw - a mysterious vessel catering to the whims of sick and powerful creatures. After waking up in the lower depths of the Maw, Six decides to escape the harsh confines, having regular moments of excruciating, primal-like hunger. Whilst ascending, she soon becomes stalked by the long-armed blind Janitor of the Maw, who has been capturing the runaway children. She eventually becomes trapped by the Janitor after being lured by food, though she manages to escape. 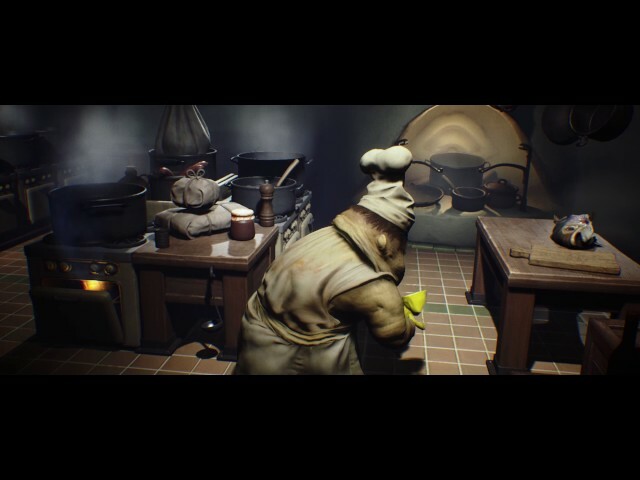 After evading the Janitor by cutting off his arms with a door, Six follows the conveyor belt upward, to a large kitchen operated by the grotesque Twin Chefs. After another bout of hunger, Six is forced to eat a live rat. The Chefs are preparing a large feast and attempt to kill Six whenever she enters their line of sight. After managing to evade them, she finds a way out of the vessel. Six observes a boat ferrying large, obese, suited Guests, who lumber to the Japanese-style dining area of the Maw, overseen by the Lady, the Geisha-like leader of the Maw. After wading through the feast and its Guests, Six has another bout of hunger. When one of the Nomes, the recurring inhabitants of the Maw, offers her a sausage, Six eats the Nome instead. Six makes her way further upwards, entering the Lady's quarters, covered with many broken mirrors throughout the rooms. Chased by the Lady, who displays magical powers, Six finds a mirror that she uses against the Lady in a battle. Defeating her, Six approaches the Lady and devours her, gaining her magical powers. A hungry little girl named Six is trapped in the Maw - a mysterious vessel catering to the whims of sick and powerful creatures. After waking up in the lower depths of the Maw, Six decides to escape the harsh confines, having regular moments of excruciating, primal-like hunger. Whilst ascending, she soon becomes stalked by the long-armed blind Janitor of the Maw, who has been capturing children and sending them on an overhead hook conveyor belt after they are killed (Note, he does not kill the children). She eventually becomes trapped by the Janitor after being lured by food, though she manages to escape. After evading the Janitor by cutting off his arms with a door, Six follows the conveyor belt upward, to a large kitchen operated by the grotesque Twin Chefs. After another bout of hunger, Six is forced to eat a live rat. The Chefs are preparing a large feast, and attempt to kill Six whenever she enters their line of sight. After managing to evade them, she finds a way out of the vessel. 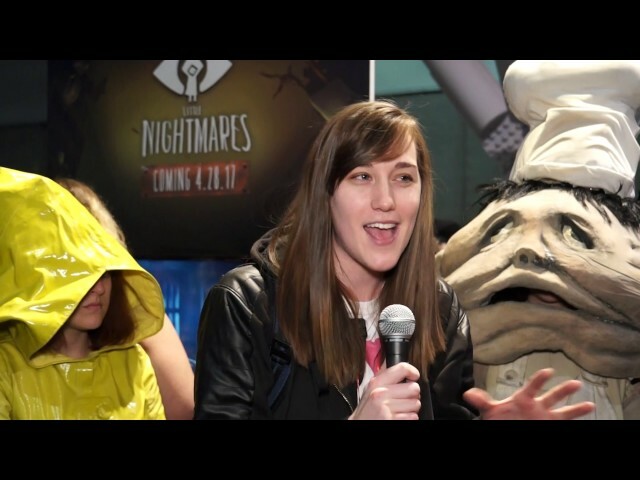 Little Nightmares was scheduled to be released by BANDAI NAMCO Entertainment Inc., Bandai Namco Games and Namco Bandai Games America on April 27, 2017, on April 28, 2017 and on May 18, 2018. 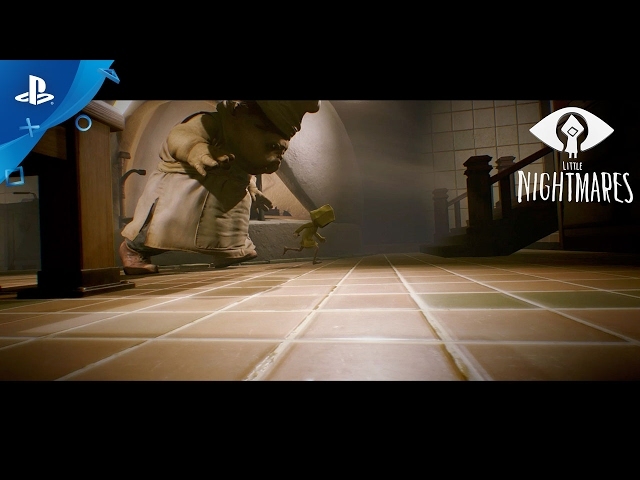 The game is made with Unreal Engine 4 engine. 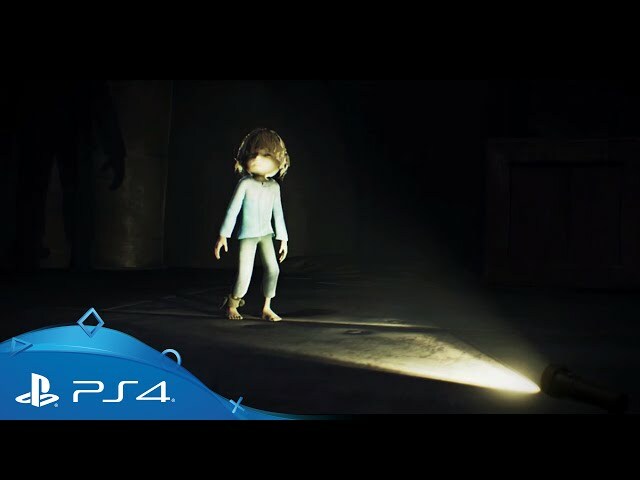 This video game is available for the following platforms: Microsoft Windows, PlayStation 4, Xbox One and Nintendo Switch. 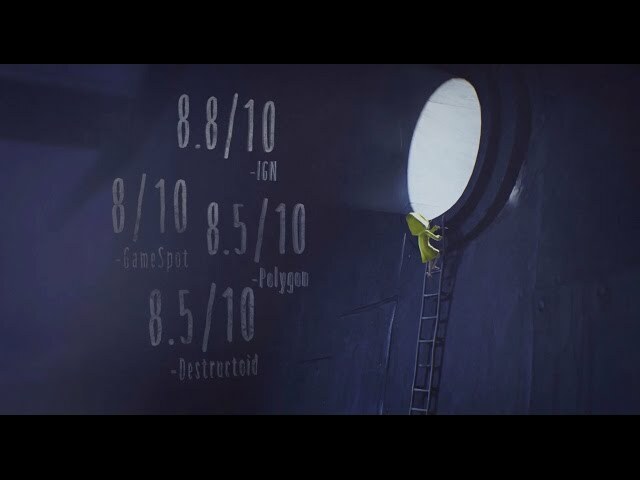 The game had received T rating and PEGI 16 rating.